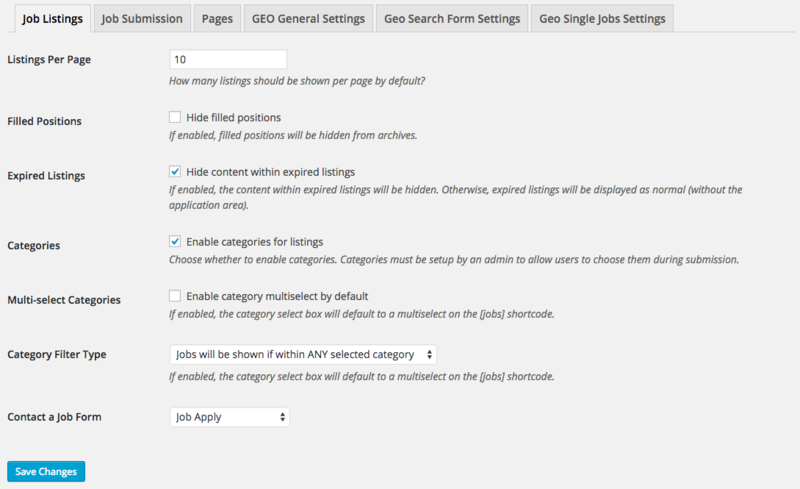 Each job listing includes a built-in ?Apply? button so applicants can instantly send their cover letter & resume. 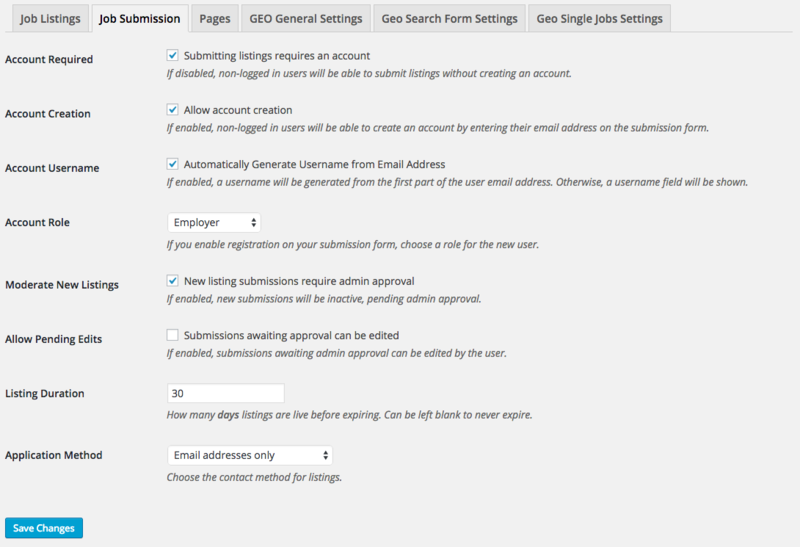 Their application gets routed directly to the job poster via email. 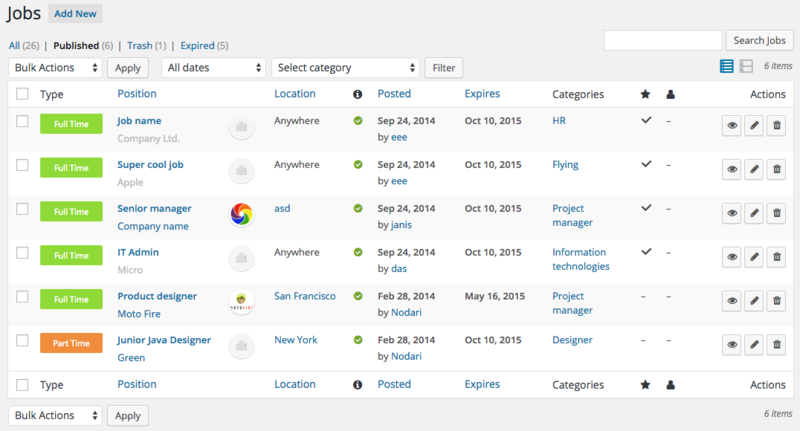 Tap into new business and grow your user base with support for job seekers. Just like employers, job seekers can have their own portal and management tools where they can post their resume (CV), update their profile, and be searchable on your site. 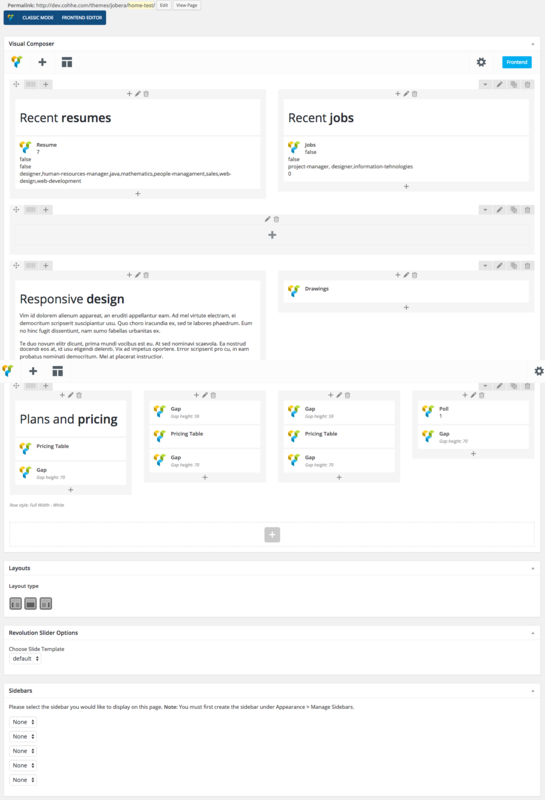 Responsive design and code means that Jobera changes layout for optimal viewing on any device. This means easy reading and navigation with no hassle. Give employment recruiters the extra access they must have with the recruiter role. 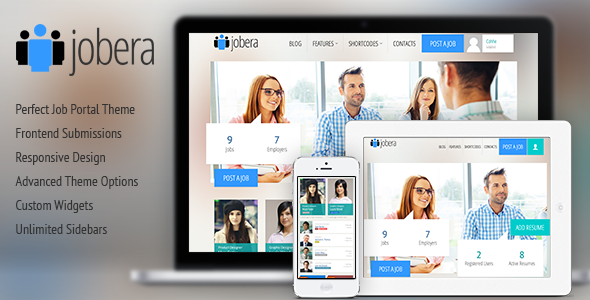 Jobera is compatible with WP Job Manager – Resume Manager add-on. Job seekers can list their resume covering past experience, education, skills, and specialities. 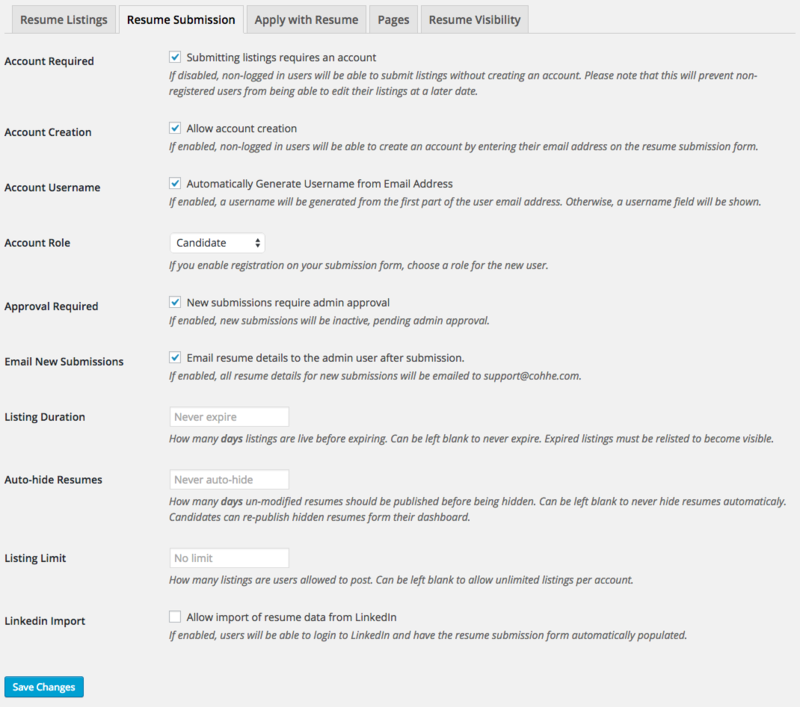 A separate section for browsing resumes is visible and even searchable. With the job search market so hot, now is the time to capitalize! Here are some plugins that we have tested and made compatible with Jobera. Keep in mind that those are not the only plugins that are compatible, this list contains only the ones that we have tested and made sure that they work. Notice: Header main image (the one that is behind statistics) is not included with theme. Flickr creative commons library pictures by: Victor1558, Ángelo González, Daniele Zedda.